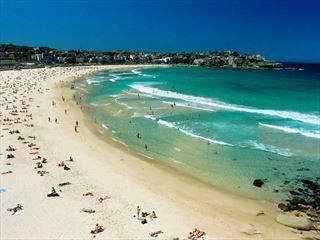 Explore the beauty of the Pacific Coast on this fantastic eight night Sydney stay and self-drive tour. Starting with 3 nights to explore in Sydney and visit the gorgeous Manly Beach, your trip will take you on a journey full of delicious food and wine in the Hunter Valley and divine seafood in Port Stephens, before heading to the stunning surf beaches in Byron Bay. 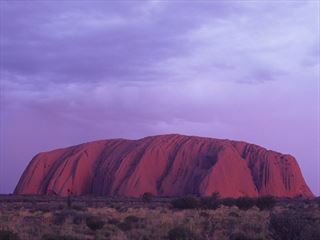 Admire beautiful landscapes in Lakes Way and Coffs Harbour along the way, ending your journey in Brisbane (TM + ATS). Fly into Sydney and enjoy 3 nights exploring the cities highlights. Book a Sydney Harbour lunch or dinner cruise to explore on your day of arrival, a great way to see the unmissable sights of the Opera House, Botanical Gardens and the fabulous Darling Harbour while enjoying a seafood buffet on board. Today get collected from your hotel at 8am and take a trip to the stunning Manly Beach just half an hour out of the city centre, a great way to relax and enjoy the panoramic views of the south Pacific. You'll be back early afternoon allowing the afternoon at leisure - you can head over to the beautiful Botanical Gardens and get immersed in the rich culture of the Cadigal people, learning about the aboriginal bush foods. We recommend taking a helicopter scenic flight today over the breathtaking World Heritage listed Blue Mountains, with its gorges of up to 760 metres deep and the dense eucalyptus forests and cascading waterfalls, it is truly not to be missed. You’ll fly over Wentworth Falls, the famous 3 sisters rock formation, Jamieson Valley and the Warragamba dam before returning to Sydney via the harbour bridge and Sydney's famous beaches. Spend your afternoon in the buzz of the Rocks district enjoying the many art galleries, restaurants and bars on offer. This morning collect your car, its time to embark on the next part of your adventure, travel north over the Harbour Bridge and onto the Pacific Highway. If you fancy a detour through the small towns of Gosford and Newcastle, they are utterly charming, the latter offering a lovely scenic walk along the foreshore. 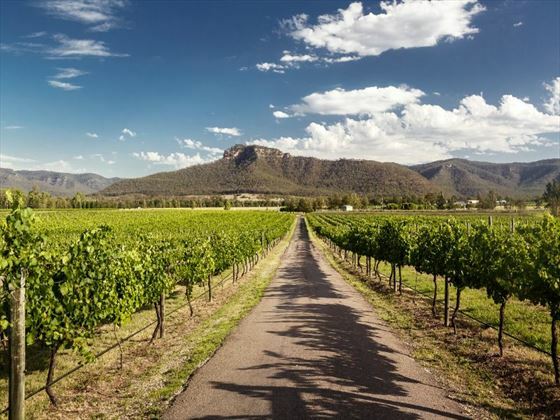 You’ll then drive via Maitland and arrive in the Hunter Valley, a wonderful area with an abundance of wineries – take part in a wine tour to taste test Australia’s finest wines, and tuck into gourmet cuisine. 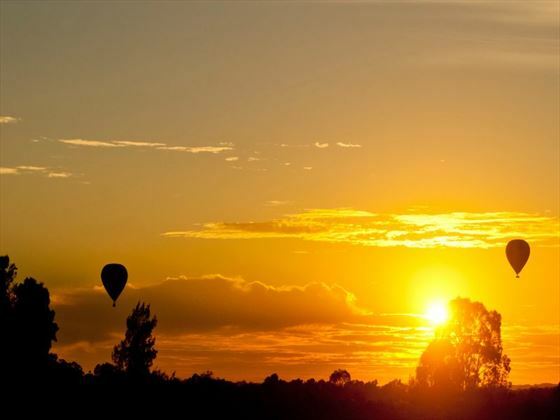 Today depart Hunter Valley and journey northeast to Port Stephens, a lovely natural bay over twice the size of Sydney Harbour, enclosed by two soaring, dormant volcanic headlands. Whilst here, tuck in to delicious seafood and sunbathe on one of the 26 gorgeous golden sand beaches, or even take an afternoon cruise to see the Bottlenose dolphins. Venture north today to Bulahdelah - the entrance of Myall Lakes National Park. 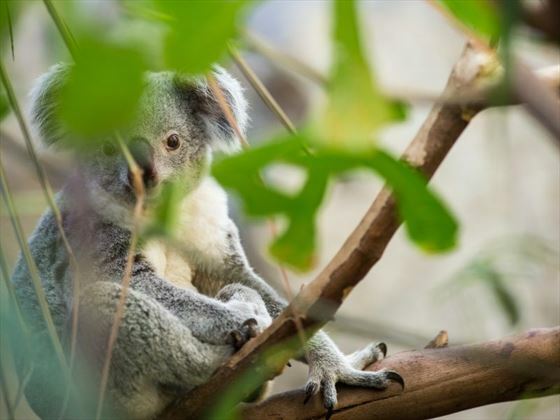 You’ll drive along Lakes Way, a picturesque route through the rainforest, with amazing views of inland lakes and ocean beaches, before travelling through the Manning Valley and Taree to Port Macquarie. Afterwards, continue to Coffs Harbour – this is the start of the sub-tropical northern coast of New South Wales, and a beautiful area where the surrounding district produces timber, vegetables, dairy, bananas and fish. In the afternoon, take a trip to The Big Banana, a fantastic display on the banana industry. 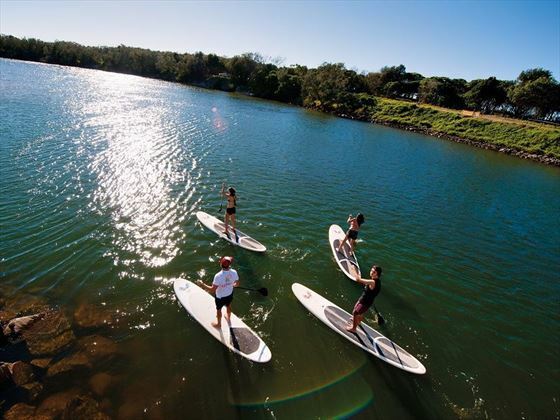 Start by following the coastal highway to Woolgoolga, before turning inland towards Grafton, a charming old country town nestled on the banks of the majestic Clarence River. 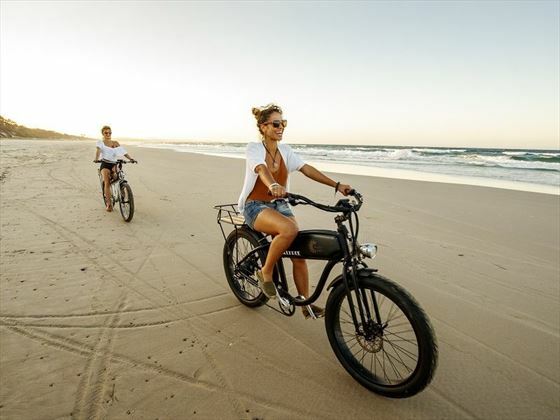 You’ll then travel to Woodburn and on to Ballina before reaching Byron Bay, a popular area for surfers and trendy travellers. 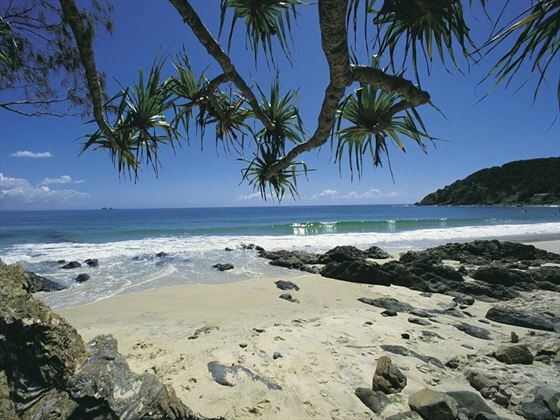 The day is at leisure for you to explore stylish Byron Bay. Take on the waves with an afternoon of surfing, tuck into fresh food at the restaurants and cafes, or simply relax on the beach. 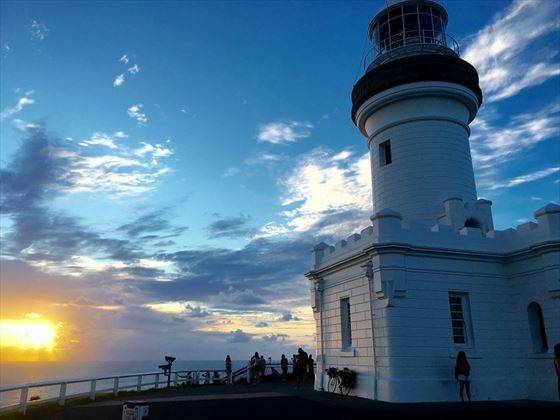 Wake up early to watch the stunning sunrise over the Pacific Ocean, before leaving Byron bay and travelling north to Brunwick Heads. You then have a choice of routes: either continue along the coast via Pottville Beach and travel via the Gold Coast, or travel inland to Murwillumbah. 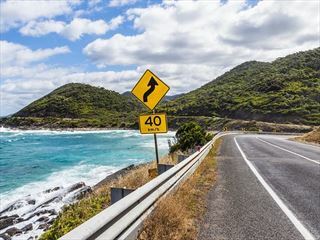 There’s a shorter, direct route to Brisbane, or you can drive via Burleigh Heads and Surfers Paradise for something a bit more scenic. If time allows, take a detour to the striking Gold Coast Hinterland, stopping at Lamington National Park along the way. Return your car at the airport today. You must return the car at the city or airport by the same time it was picked up on day 1, or you’ll be given an additional charge.